When seeing Salem, start where it all began. The Pickering Foundation welcomes you to an extraordinary place. It is not only Salem's oldest House, but also America's oldest Home: home to a single family for over three and a half centuries; home to carpenters, farmers, patriots, military leaders, deacons, diplomats, linguists, and statesmen. And as homes will, it changed with the times. Built in 1660 by settler John Pickering and his wife Elizabeth, it was a two-room farmhouse on a vast plot of land that ran all the way down to the seaport on the North River, encompassing what is today Chestnut Street and the McIntire District. 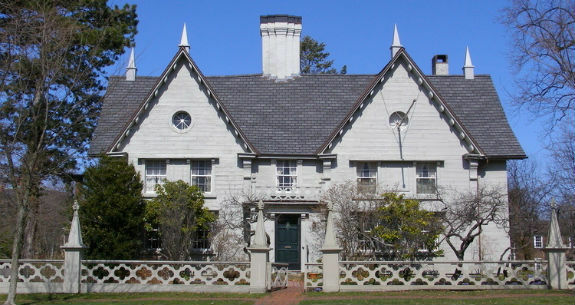 Over the next 350 years, the succeeding John Pickerings and their wives added wings, gables, and Gothic peaks. They raised ceilings, extended the roofline and created the distinctive fence. The Pickering House evolved into the warm and gracious home it is today.